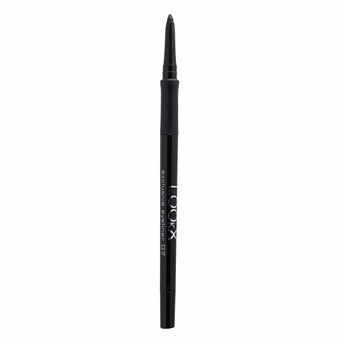 LOOkX Exclusive eyeliner is a densely-pigmented, waterproof and long-lasting eyeliner that glides on lids evenly for smooth, uniform application. After application the liner can be blended for the perfect result. Want a rather tight line? Sharpen the tip with the small built-in sharpener at the back, let it set for 30 seconds and your line is transfer-proof for up to 14 hours. Explore the entire range of Eyeliner available on Nykaa. Shop more LOOkX products here.You can browse through the complete world of LOOkX Eyeliner .Alternatively, you can also find many more products from the LOOkX Exclusive Eyeliner range.